The unprecedented level of pain TPLF’s regime is inflicting on the Sidama nation is transcending sane imagination. TPLF’s actions against the Sidama nation defy belief simply because the nation – whose economy is potentially capable of enriching the entire South – is made beggar on its own soil. The degree of injustices to which the Sidama nation is subjected under this brutal regime is deeper, complex and multifaceted; only those who can see today’s Sidama situation beyond TPLF’s lies, deceits and rhetoric can understand. Unaddressed in time, the Sidama is at the verge of destruction. The society is left without representation at all levels: from the Sidama Zone to the pseudo-parliamentarians in Finfinne (also known as Addis Ababa). Sidama is the only nation, even in the Ethiopian standard, whose TPLF-picked cadres utter no word – from bottom to top – whilst working against their own people. For the last 4 or 5 years in particular, the Sidama intelligentsia, students, business community, peasants and the wider society at large have effectively been silenced by the unprecedented level of military presence in the Sidama land, and the 1-to-5 North Korean-style spying apparatuses and surveillance operating in Sidama. TPLF’s anti-Sidama mission is implemented through the nation’s worst enemy – Shiferaw Shigute (TPLF’s second-best advocate in the South of Ethiopia – following the current puppet Prime Minister Hailemairam Desalegn). Therefore, as in Oromia, Ogadenia, Amhara, Konso, Gambella, Benshangul and the rest of Ethiopia (if not worst), an unprecedented level of anger and frustration is fermenting in the Sidama land although it is unclear when it is likely to explode to full scale. The fire of change is smoldering although it needs brave Sidama national leadership (within) – which can set it on, so that it won’t be extinguished by barbaric TPLF without totally burning it, for the seeds of freedom, liberty and democracy to be able to germinate and yield fruits. Since its inception, TPLF’s criminally-stitched regime has been causing serious harm to the Sidama nation although this hasn’t been an exclusive practice. For example, TPLF has been causing such deliberately masterminded harms to the Oromo, Ogadenia, Gambella, Konso, Amhara and the rest of the peoples in the country. These nations and peoples of Ethiopia – including Sidama, have been continually brainwashed with lies and deceits, thus allowed themselves to be silently enslaved for the last 26 years, whilst bickering with one another on minor issues. Besides, the move of various nations since October 2015’s Oromo resistance is encouraging, although such resistances need commonality of purpose, unity, more focus, holistic and inclusive approach by accommodating differences, without agreeing until TPLF is removed from power. In Sidama, in addition to the burden the entire nations and peoples of the country are sharing, the magnitude of harm TPLF has caused and is causing is multifaceted and different for various reasons. Despite Sidama being the fourth or at least fifth largest nation of the country with the population size of about 6 million, TPLF has denied Sidama of its constitutional rights to regional self-determination (although nominal) – a right which had been granted to 20,000 populated Harari. Tigray is not larger than Sidama in the size of its population and is much far less with economic contribution in 1991. Hundreds of Sidama civilians have been massacred, and tens of thousands have been unlawfully incarcerated for demanding the said rights. Equivalent to tens of billions of worth dollars budget have been withheld and denied to the Sidama nation as the nation is denied the said rights for the last 26 years. TPLF pockets all sums of money during these periods. Doing so makes the nation the most victimized nation in Ethiopia, given the size of its population and economic contribution. To the contrary, TPLF’s companies expropriating its resources in Sidama have become millionaires. The continued denial of constitutionally guaranteed quest of the Sidama nation for regional self-determination has got significant ramifications. The nation can’t exist as a national entity without being in a position of formulating its own policies. 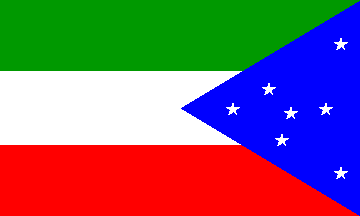 Having regional autonomy – although nominal, enables Sidama to manage its own resources by setting its own priorities, economic, education, agricultural, more essentially cultural and local development policies, although these are all controlled by TPLF. For example, the Oromo nation has been equally brutalized by TPLF, besides, it has managed to develop its cultural aspects in the past 26 years which is a precursor of social consciousness. I’m proud of the Oromo nation in this aspect. This is the opposite in Sidama. The Sidama’s cultural heritages are rapidly eroding at an alarming rate. The symbol, even nominal, of regional autonomy, for the nation would mean huge as doing so helps the nation to continue as a national entity, albeit subjugation. Today, the Sidama nation is at the brink of losing itself in the utopian sea of TPLF masterminded confusion. If someone goes to Hawassa, the Sidama capital, people hardly see the signature of the nation. If one goes to Mekele, Gonder, Bahirdar or elsewhere in the contrary, it’s easy to see the signature of the host nation. In Sidama, however, only its displaced beggars symbolize its national demise. The Sidama nation is denied these fundamental rights by successive rulers, although TPLF is the worst in facilitating the demise of the nation, faster than any person can imagine. Needless mentioning, to ascertain this argument, it’s worth looking at the fake Sidama history book facilitated by TPLF and written under the supervision of Sidama’s worst quisling, Shiferaw Shigute – and his likes. This is the sign of national disgrace. I argue that TPLF’s denial of Sidama’s constitutionally guaranteed rights has got serious ramifications to the nation’s survival as a national entity; if it’s left unaddressed. I further argue that, I can justify that, since TPLF assumed power in 1991, it has threatened the survival of Sidama as a national entity for the first time since the creation of the Ethiopian state in today’s form in the late 1880s. This must be crystal clear to both friends and foes. Moreover, those who’re busying themselves to implement TPLF’s anti-Sidama policies in the Sidama land must unambiguously know the level of damage they are causing to the survival of the nation. This is a historical error; inexcusable and unforgettable mistake inevitably costs the culprits dearly when the right time comes, sooner or later. TPLF uses various methods to dehumanize the nation whilst expropriating its resources. By this regime – more than all its predecessors, the Sidama is belittled, denigrated, massacred, continually silenced, displaced and made destitute. The nation is told and retold that it is incapable of managing its own affairs unless being dictated by the invading TPLF and its handpicked messengers, such as the aforementioned quisling. Sidama’s sons and daughters are kept at bay whilst their resources taken away in front of their eyes for the last 26 years. All Sidama environs surrounding Hawassa have been taken by TPLF’s business empire by leaving tens of thousands of Sidama peasants penniless and destitute. 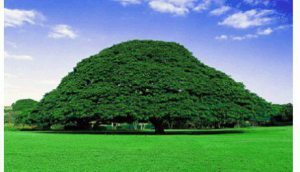 As indicated above, if the generation is silenced, subjugated, impoverished and kept at bay, the survival of Sidama – as a national entity – will not only be compromised, but also seriously at the risk of destruction. This is a wake-up call for the Sidama nation. Moreover, TPLF’s denial of the Sidama nation of their constitutional rights to the nominal regional self-governance adversely affected not only Sidama, but also the wider 56 various southern nations and peoples of Ethiopia – which are amalgamated into a pressure-cooker known as the Southern Ethiopia Nations and Peoples Regional State (SNNPR) to be collectively enslaved. These diverse nations and peoples were previously five regions in which the Sidama was one of. This pressure-cooker has been created by the late TPLF’s PM Meles Zenawi in 1994/5, after totally merging the previously five distinct regions. Ever since, Sidama has been crippled in several ways without a single person from Sidama Zone at the federal level uttering a single word on behalf of the nation. To make the situation worst, the injustice imposed on the Sidama nation has become severe since the May 24, 2002 Sidama massacre in Looqqe village (outskirt of the Sidama capital, Hawassa), where the regime’s army and security forces have summarily executed over 69 confirmed Sidama peaceful and unarmed civilian demonstrators – who were demanding TPLF to respect the Sidama nation’s rights to regional self-determination. In its heyday after assuming power in 1991 by toppling its authoritarian predecessor, Derg’s regime, TPLF appeared to be serious about defending the rights of historically subjugated nations of the political South, including the Oromo. Besides, its subterfuge became clear when it systematically denied nations’ constitutionally guaranteed rights, few years after its grip on power. Unarmed civilians, in all parts of the country, have become the subjects of ongoing brutalities of unprecedented scales – including massacres, mass incarcerations, tortures and disappearances. Millions have been obliged to flee their country due to TPLF’s brutality and deliberately caused poverty. In the actions only comparable with Europe’s Scramble for Africa, TPLF remains busying itself with the expropriation of the resources of the entire country with varying degrees. It has also gone beyond the expropriation of resources. For example, it has removed previously existing equipment from various hospitals, such as Tikur Anbassa Hospital, during its first year in power. From Tikur Anbassa – for instance, it has removed the Swiss-donated giant auto-sterilizer – which was used for an operation theater – and had taken it to a hospital in Mekele, Tigray. Various army facilities, construction and public transport sites – from where it has ransacked buses, lorries and automobiles and tens of thousands of military vehicles to take all to Tigray, in addition to exclusively monopolizing the entire economy, military and politics of the country ever since it came to power in 1991. Not only brutalizing the dissents and expropriating the resources of the country, but also, time and again, it has shown its unpreparedness for a pluralist political system in a multi-ethnic and multi-national Ethiopia. TPLF has continually ignored this workable politico-economic system, totally disregarding its own paper-tiger ethnic-based federalism advocating constitution. TPLF dictates its lifeless constitution which theoretically grants universally recognized rights to the stakeholders without recognizing it. Cognizant of its ramification as the older colonial rulers of the world, as indicated above, whilst expropriating their wealth, TPLF is working hard and is tirelessly working to erode the national identity of the Sidama nation. It mercilessly murders those Sidama civilians who dare demanding their rights as it has been the case during the Sidama Looqqe massacre of May 24, 2002. This is also the case in Oromia, Ogadenia, Konso, Amhara, Gambella, Benshangul … and elsewhere in the country. Ironically, the Sidama traitors are blinded of the truth. They hardly see the world outside the lenses TPLF has given them. They worship TPLF as their personal god and believe that TPLF is omnipotent. They hardly breath a single word even under their own roof, with erroneous belief that, TPLF knows everything they do 24/7. Therefore, puppet PM Hailemariam Desalegn had once publicly venerated the late evil TPLF’s PM Meles Zenawi by praising him like God. They agree to the genocide the regime continually commits on the nations and peoples of Ethiopia with varying degrees. They agree to the displacements of the Sidama nation from their ancestral lands to vacate it for TPLF’s companies. The Sidama cadres are molded to believe that it is absolutely right for TPLF’s security and army forces to do whatever barbarism, incarceration and tortures of unarmed civilians to steal Sidama’s land in the name of ‘development’; they think nothing otherwise. Furthermore, in the Sidama Zone, even the cadres are handled differently because the Sidama is an epicenter of the battle for TPLF’s survival in the South of Ethiopia, simply because TPLF has got no mass base in the entire country apart from the South through two historical failures, namely Hailemariam Desalegn and Shiferaw Shigute – in addition to Kassu Ilala and handful other South Ethiopia’s quislings. TPLF uses and throws when the surrogates fail to do their job – it replaces them with other quislings under their tacit belief that ‘this is not good enough to brainwash Sidama.’ The nation is heading towards its demise. Finally, the Sidama nation – as the rest of the peoples of Ethiopia, including its cousin (Oromo) – has been subjected to ongoing tragedy. Traditionally gallant, the nation has been denied of its dignity and self-pride by TPLF. The nation is humiliated time and again, and is being groomed to lose its direction to become visionless. The nation is coerced by TPLF’s Sidama surrogates to think and believe that TPLF has got godly power, thus the nation must shut up and follow their orders without questioning it. Sidama quislings are stage-managing TPLF’s anti-Sidama policy in the Sidama land with all possible means, including intimidating, massacring, silencing and impoverishing their own people. Sidama’s new generation is misguided, has become hopeless – thus it has been obliged to scavenge over the leftovers of TPLF – instead of fighting for its legitimate rights whilst its wealth enriches TPLF’s bandits. The families of Sidama youth – who have sent their children to universities by selling their precious assets – are obliged to helplessly see their returnee graduate children sitting idle without aspirations, hopes and dreams. Sidama’s development activities, which were supported by foreign aid – have been dismantled by the order of TPLF’s late PM and the remaining few serve political purposes of the regime and its cadres. The Sidama land has become a battleground which the TPLF rulers scramble over while its over 6-million legitimate owners are silently driven into nonexistence with deprivation. The Sidama land has become hell for its owners whilst TPLF entirely controls its abundant economy, political and related affairs. For how long will the Sidama remain silent? For how long will the nation tolerate slavery? For how long will the nation put up with its worst quislings who are stage-managing its suffering? For how long will the nation remain belittled and deceived? For how long will, the historically gallant Sidama nation, remain subservient to the brutal TPLF’s rule? For how long will its wealth enrich TPLF whilst its sons and daughters are surviving on a single meal a day? For how long will the nation allow its lands to be freely confiscated by TPLF’s apparatuses leaving Sidama peasants beggars on their own soil? Uncustomary fear or silence Sidama nation? Dying defending own rights and land is privilege and much more dignified than dying under slavery in silence whilst nation’s survival is at stake! The Sidama Nation, Wake up!